The Lena massacre. Gold miners in the Lena goldfields in Siberia strike for better working conditions and pay. Miners who work for the hugely profitable British-Russian mining company are paid a pittance, given poor-quality food, frequently forced to work 16-hour days, and subjected to atrocious working conditions: out of every 1000 miners, 700 will suffer injury or death. The company is not interested in negotiating: they call in the state. The Czarist government immediately arrests all the members of the elected strike committee. When workers gather to submit a complaint about the arbitrary arrests, the Czarist soldiers fire on them. An estimated 270 are killed, and 250 wounded. News of the massacre triggers nation-wide strikes, with hundreds of thousands of workers at hundreds of workplaces going out. Belatedly, the government offers concessions and calls a commission of inquiry, but the idea of revolution, largely dormant since 1905-06, is once again alive in Russia. 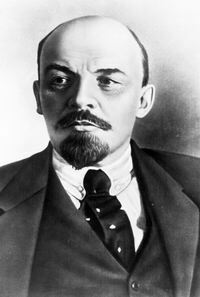 The Czarist regime, though neither the regime nor the workers know it, will be gone in five years. Founding of SNCC: Students involved in the growing wave of non-violent protests against segregation in the American South gather at an event organized by Ella Baker at Shaw University to talk about moving on to a broader co-ordinated effort. They decide to form the Student Nonviolent Coordinating Committee (SNCC). 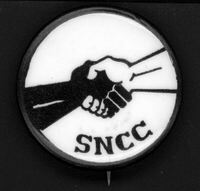 SNCC quickly grows into a large organization, with supporters in the North as well as the South. SNCC goes on to play a major role in the sit-ins against segregation, in grassroots voter registrations drives, in the Mississippi Freedom Summer, and in forming the Mississippi Freedom Democratic Party. The Bay of Pigs Invasion (La Batalla de Giron). Paramilitary forces recruited, armed, trained and paid by the United States government with the assistance of the Mafia, invade Cuba. The goal is the overthrow of the Cuban government led by Fidel Castro, which has infuriated the U.S. and the Mafia by taking over their profitable operations in what they consider their colony. The invasion begins with U.S. airstrikes and sabotage operations, and then four transport ships land the main invasion force. Revolutionary Cuban militias respond quickly and decisively, and the invasion is defeated within three days. The U.S. continues it ceaseless efforts to destroy the Cuban government to the present day, but the invasion’s failure demonstrates that the U.S. is not invincible and emboldens people in other Latin American countries to resist U.S. dominance. Students for a Democratic Society (SDS) organizes a major march against the Vietnam War in Washington. 20,000 - 25,000 attend; to that point, the largest peace march in American history. Folksinger Phil Ochs sings “Love Me, I'm a Liberal”, mocking those who are “ten degrees to the left of center in good times, ten degrees to the right of center if it affects them personally.” In the aftermath of the march, new members flood into SDS and the anti-war movement gains momentum.